Free style, funny, and comprehensively based on your goals. Clear structure, active materials, and joyful chat just like your friend. Make you feel you are immersed in the Chinese language world instead of a bystander. Hi, I’m Susie. I’m from China, and living in Thailand now. I've been working as a Chinese teacher at Rajamangala University since 2015. I’m a native Chinese speaker and can speak English and a few words of Thai language. I’ve taught in Thailand for over 2 years.Having a bachelor degree of teaching Chinese as a foreign language and minored in English . [For HSK learners] I offer a series of PPT for each level, which includes vocabulary, grammar and exercise sections. Each language point has some sample sentences. You can grasp these key points within a one-hour lesson, and practice your listening, speaking, reading, and some writing skills. Also, the clear structure of each PPT will be helpful when you review them by yourself. Besides, all these language points aim at HSK test, you won't waste any time on unnecessary things. So far, all of my HSK students passed their tests at the first time. [For PINYIN and tone learners or beginners] We don't need any textbook for this section. I offer diagrams to show you how these initials and finals work, and also present their similarities and differences. Imitation and practice is the most important. We will do efficient exercise and interesting games step by step to help you get familiar with all PINYIN and tones. [For custom classes students] We can discuss your own study plan according to your goal. I will chose a suitable textbook or other materials for you. I also offer pronunciation or passage correction, news discussion and etc. Just feel free to contact me to talk about your request. :D ［What you can get on my class］ 1. Free textbook and materials. 2. The notes of each class. 3. After each class, I will give you some tasks and follow your progress. 4. Patiently teaching and explaining, correct your pronunciation and grammar mistakes. 5. Not only Chinese language but Chinese culture and stories. 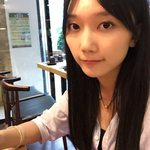 Hello everyone, My name is Xueli Liu, I am a professional Chinese language teacher who is working at a language school in Prague. 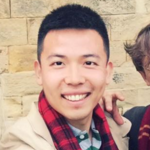 I have been teaching Chinese since 2016. I have a Beijing language and culture university teaching proficiency certificate of teaching Chinese as a second language. As you know China is a huge country, we have over 80 languages and over 30 characters, so mandarin became the only language like English for combining all of us together, therefore, different local language also carries their local accent, just like Indian speaks Indian English, Russian speaks Russian English , that is how professional Chinese language teachers must have a Mandarin level certificate so that they can be proved teaching foreigners with standard Mandarin. Well, do not worry, I got it. I can ensure you that what you learn is like what you watch in Chinese TV. 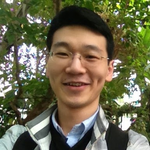 Here is my introduction about how I teach you Chinese. 1.A lot of people are very confused about Chinese pinyin and tones, you must have heard a lot about it, right? But I, as a well-experienced teacher, know a lot of ways to make them easier for you. You must wonder what it is right? Compare, always compare! You will see my Pinyin introduction in PowerPoint. I can ensure you that this method will soon drive your confusion away. Of course, sometimes they can not be exact the same, but they always have something in common. 2.I have some textbooks in PDF which you can choose which one you want for studying, and it will be sent(i can send it) to you for previewing and reviewing. 3.I will teach you from vocabulary and grammar first. No matter what part I am teaching at, I will always give you some examples and then ask you to make some sentences by your own , I think it is really important because we talk with sentences instead of words and phrases.That’s how once you know how to make a sentence, you would certainly know how to write an article someday , the article is composed of sentences, right? 4.For the text, I would normally give you few questions before you start to take a look at it, so that you will focus on what it says and tell me the answers of those questions. In this case, I will make sure if you have fully understood. By the way, I highly recommend you to recite the text if you want to make your Chinese fluent as soon as possible. 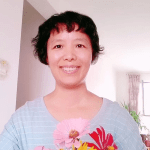 5.After learning vocabulary, grammar and text with me, I will let you do some exercises and listening, to make sure that you will memorize the whole learning content very well. 6.Characters. A lot of people keep saying that Chinese characters are the hardest parts in Chinese, but how about we learn through interesting stories? I bet you will enjoy it once you learn them with me, and you would never feel as hard as you thought it was before. But first, you have to persuade yourself, and get some time for it like how I did it when I was a kid. 7. Chinese culture.In my class I will also let you get to know Chinese culture during our lesson so that you will not only know Mandarin, but also our real traditional customs. So that is all about my teaching way in above content. Here is something else I want to say. My teaching target is to adults, I have students from all over the world, such as America, Africa, Korea, Japan, Czech republic, Indonesia, the UK and so on.Before starting our lesson, I would like to see your level first so that I can make an individual study plan for you, I am able to teach business and life Chinese, speaking and writing skills, just tell me what you want. Right now, I am living in Czech republic with my family. But since I have started teaching online, I would be able to take care of both. I welcome all the levels who is learning or who is about to learn to study with me, no matter how difficult it is, I will always show my patience and smile to you when you make mistakes, and I will be very happy to see you making mistakes, because you will know where is wrong, why is wrong, and how to make it right next time, do not be afraid to talk, you will always find confidence in my class. 【Note: Please message me in advance if you want to book the lesson】 At last, I want to say that my price might be a little bit higher than others, but you will always get what you pay for! So welcome to join me! 大dà 家jiā 好hǎo！我wǒ 叫jiào 刘liú 雪xuě 丽lì。我wǒ 是shì 一yī 名míng 专zhuān 业yè 的de 对duì 外wài 汉hàn 语yǔ 教jiào 师shī 。如rú 果guǒ 你nǐ 想xiǎng 学xué 习xí 标biāo 准zhǔn 的de 汉hàn 语yǔ，快kuài 来lái 加jiā 入rù 我wǒ 吧ba！ BTW, if you want to know more about me, please visit my individual website www.mandaxclassroom.com, thank you very much! 你好ni hao! :-) My name is Dang Yanfen and my English name is Sunny Dang. 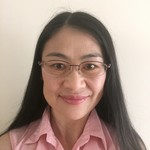 I’m a professional, native teacher with 12 years experience for schools in the USA, UK and Singapore, 9 years experience teaching corporate students and 8 years experience with kids ages 4+. I can teach all the levels and ages of students. I am flexible, easy-going, patient and friendly. I love gardening, cooking, history, economics, psychology and philosophy. If you or your kid(s) want to take formal but enjoyable, interactive and engaging lessons, please feel free contact me. I would like to help. Teaching approach * Customized and Interactive Lesson I can design individualized curriculum or courses based on each student's interests, goals and personalities. I'm passionate about teaching. I always adapt myself and my lessons to my students. You can learn at your own level, pace and style. * Communicative and Effective I can have conversation with you even you have very limited vocabulary. I can encourage you break the ice and build your confidence to talk in this beautiful language. If you're an advanced student, I can also give you video/audio homework and have a discussion on class by using the key sentence structure and core vocabulary in the video/audio. * Easy and Fun lessons for Kids For kids ages 4-12, we learn through their favorite songs, nursery rhymes ,stories , cartoons or in a theater way. For teenagers, I would like them to give a summary, presentation or have a discussion, do a research or write an essay. Most of them are very motivated and our lessons are very engaged. * Business Chinese I have 9 year experience teaching corporate students for Myngle Language School, Netherlands. I can teach business people who travel frequently to China and wish to do their business in China. 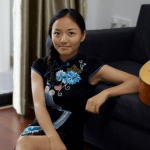 * I also offer lessons below Chinese for adults, Chinese for beginners, intermediate Chinese, advanced Chinese, conversational/daily Chinese, travel Chinese, Chinese test prep like HSK, SAT, AP, A levels, GCSE, YCT, BCT, Chinese for teens, Chinese culture lesson, Integrated Chinese, Learn Chinese through movies or TV programs, survival Chinese, Chinese reading/writing lesson.